Wood floors that have become unsightly from years of wear can be restored to their original beauty. 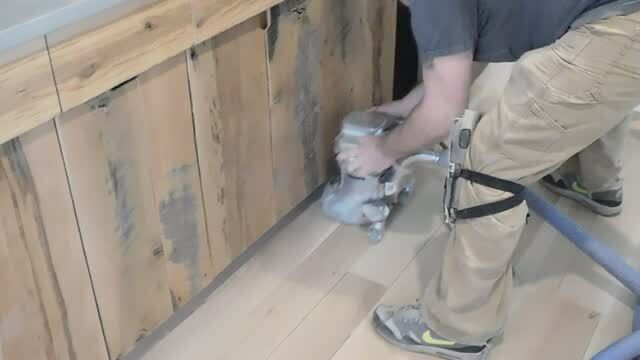 Machine sanding removes the old finish and exposes new wood. With the application of a finishing material, floors are like new again. 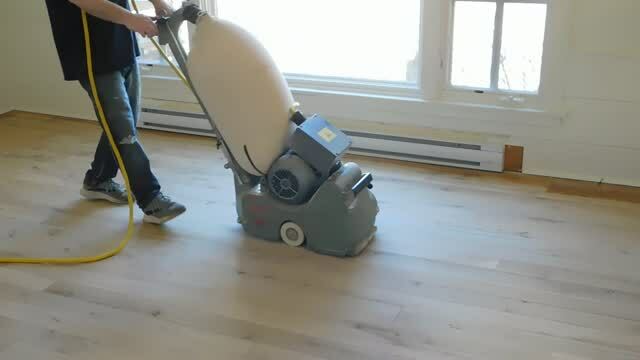 While the highly skilled home craftsman may want to undertake the task of refinishing, it is usually advisable to have a professional floor refinisher do the work. This will assure of the best results with the least headaches. Standard wood tones or other colors are readily available in penetrating sealers. Coloring floors with pigmented sealers will not obscure grain markings. The general term for adding any tone to a wood floor is “staining”. Stains get their colors from dyes or pigments which are sensitive to light so stained floors may fade if exposed to continued brightness. For this reason, we recommend the use of penetrating sealers containing pigments for most refinishing. We do everything we can to keep your home as clean throughout the installation process. We use dust collection systems on our machines and vacuums. We also plastic off rooms we will not be working in. With today’s systems, the dust is very low. You may wipe your hand across a counter, window sill, etc and find a very slight amount. This is to be expected. We clean as much as possible after we sand but you will have some basic cleaning to do. 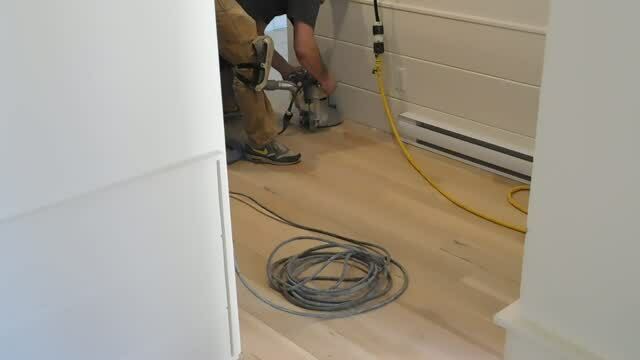 With the sanding process, your baseboard may get scuffed. This should be expected as we need to get right up to the baseboard to remove the old finish. Your base boards may need to be painted after we are done. The finish will look very nice but will not be factory due to things beyond our control in the home. If you have pets, fur may be stuck on something high in the room (ceiling fan, window trim, etc), as well as human hair or dust that was not seen. Carpets from another area of the house may have loose fibers that may float freely as the carpet gets walked on. However we do our best to manage these free floating particles.